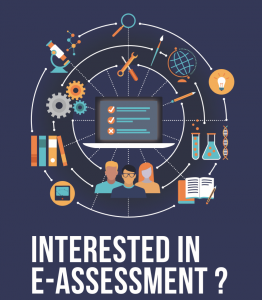 The eAssessment SIG provides a forum for the exchange of ideas, knowledge and information relating to educational eAssessment, by means of a dedicated Facebook Group, meetings of its members at the AEA-E Annual Conference, and through other activities organised by the SIG in response to emerging issues and themes. STEERING GROUP: Naomi Gafni (National Institute for Testing and Evaluation), Rebecca Hamer (International Baccalaureate), Caroline Jongkamp (CITO International), Mary Richardson (UCL Institute of Education), Liam Simington (The Chartered Insurance Institute), Lesley Wiseman (University of Glasgow). The place to discuss eAssessment, pose questions and discuss new ideas through our SIG BLOG. If you would like to contribute by posting a blog, please contact Mary Richardson (see email above).